I called my friends over for a dinner before Ramzan (Ramadan). Due to the heat everyone wanted easy cool food. I made some salads, which will be featured in Bangla Hues pretty soon. 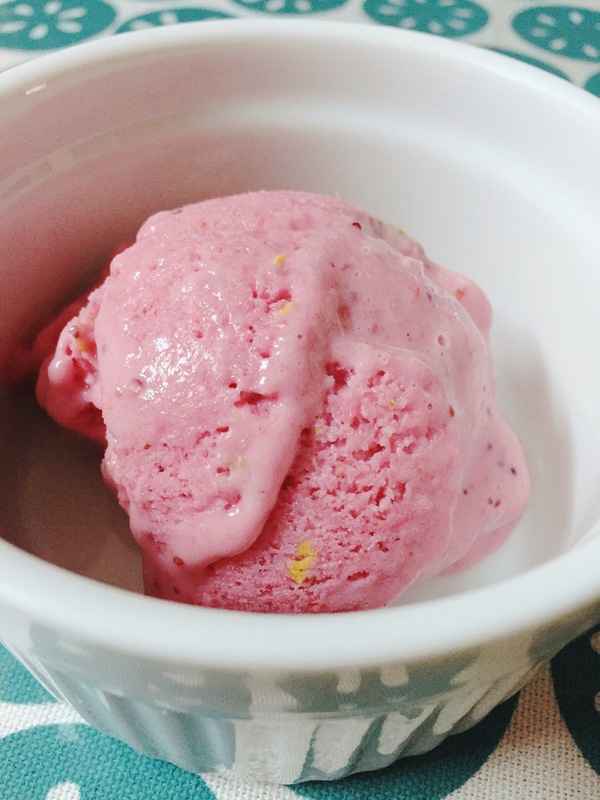 But today, I will give you the Strawberry ice-cream recipe, I did for them. Well, you can call it fro-yo, ice-cream or even a cooler. It has essentially 3 main ingredients. However you can always improvise. I added two magic ingredients to make it more textured and balanced. All you need is some frozen strawberries, rich creamy Greek yogurt and condense milk. 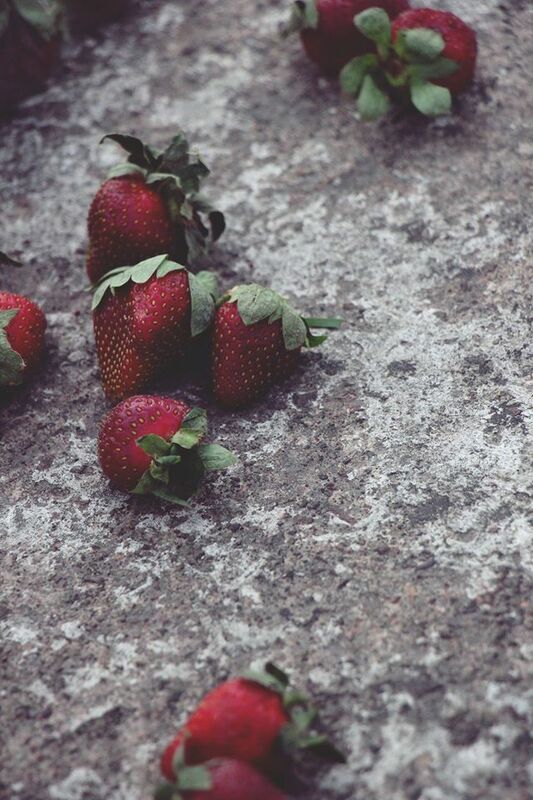 Strawberries are favourite fruit after mangoes, sorry Strawberry. I preserve almost about 5 to 6 kgs of strawberries for my year long cravings. Whenever I get a craving, I get a jar out of the fridge, thaw it for 10 minutes and yes, I bring spring back anytime of the year. You also require very good quality of Greek yogurt. Cold double cream will also do just as fine, but I am on the low calorie side, hence Greek yogurt makes it little guilt free. I make my own from powdered milk. I use heavy milk, as it helps to get more creamier and rich yogurt. Finally, you really have very less to do when it is condense milk time. I remember, in my young days, I used to take spoon full of condense milk out of the fridge, and have it just like that. One of my childhood indulgences, though I still love condense milk. Yes, I meant, you really can’t help but give in, even after you know about the calorie count in condense milk. After all, you are making an ice-cream. As the for that magic ingredients, add few pistachios and a dash of salt. Salt gives a heavenly balance in my ice-cream, just as it adds that extra taste to Thai sticky rice pudding. Salt gives sweet dishes the perfect push, but only a dash. I say you prepare a decorative tin to freeze the ice-cream, so that you can bring it to the table. I used one of my cake tins. I see people using bread making tins too. Use whatever works for you actually. Once the ice-cream has set, takes about 8-10 hours, serve it and have it immediately as it melts too quick. Put all the ingredients in a blender, whiz and pour it in the desired tin. Cover and fridge it for at least 8 to 10 hours. Sprinkle little bit of sea salt granules on top and if you are making it in spring, serving it without few slices of fresh Strawberries will be a sin.